Email marketing has proven the most remunerative form of online advertising: with a small investment and a you can spread your offer and get a very significant return. Still, it’s very important to make it sure that your mailing actually reaches its destination – the addresses on your list. That is why you should get a professional outbound email service like turboSMTP: because it allow you to send unlimited emails and it guarantees that they correctly get to the recipients’ inbox. Let’s see how. 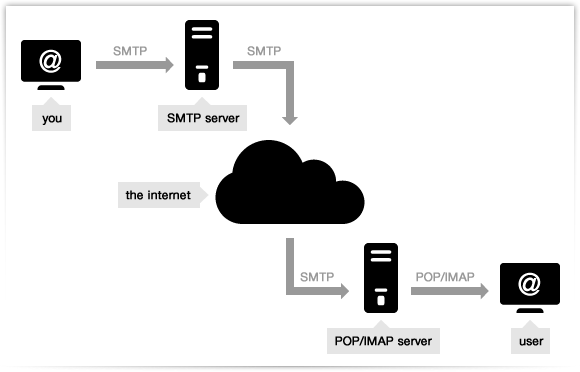 But a “normal” SMTP server like the one associated to common email providers comes with some restrictions in terms of how many messages you can send per day: and, above all, it cannot ensure the best delivery rate for your messages. Why? Because it uses shared, non monitored IPs which could be used also by spammers or being even blacklisted – which means that all your emails will not be delivered. And, worst of all, you’ll never know. That is why we highly recommend to switch to turboSMTP, which provides a reliable server ensuring you a strong deliverability – taking care of your reputation as a sender and preventing your emails from being filtered and end in the spam box.